Students and faculty will make sculpture by melting melt and pouring it into molds to make sculpture. 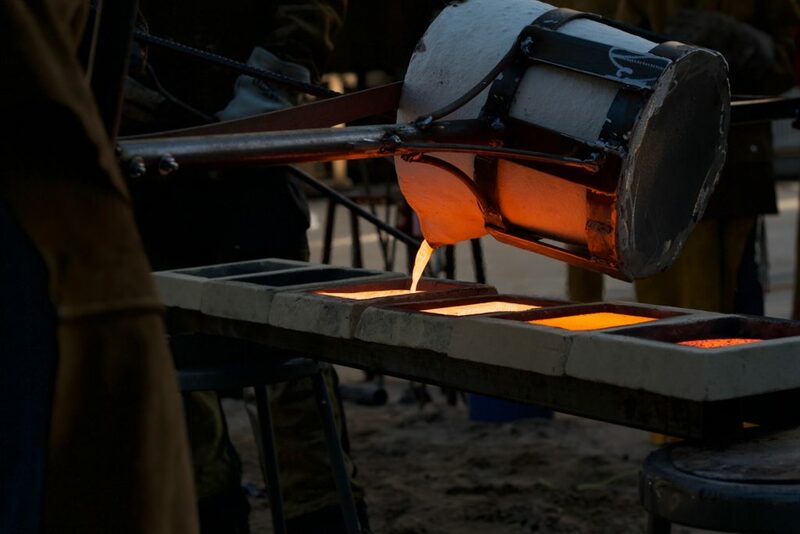 The event is all day with hot iron scheduled to flow around 2:30pm and will last until all the molds have been poured. The pour will take place in the courtyard between CCA I & CCA II behind the Marinoff Theater. If you would like to participate the Visual Arts Collective is selling scratch blocks for $15, proceeds will support the student group in artistic endeavors. Scratch blocks can be purchased at the Fastener Lab, CCA II room 125, the week of the event up until 3pm the day of the pour. Scratch block tiles can be picked up after the iron pour once they are cooled or the following week during open hours of the Fastener Lab.